This post is in partnership with Le Creuset. All opinions and photos are my own. 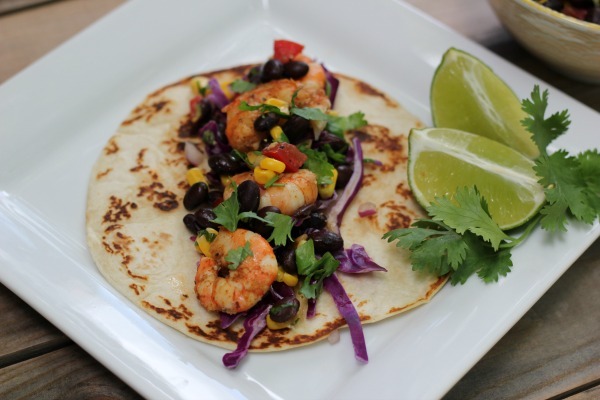 to make some Grilled Spicy Lime Shrimp Tacos with Black Bean & Corn Salsa at home. I'm all about the great outdoors and grilling outside, but sometimes it's just too dang hot! 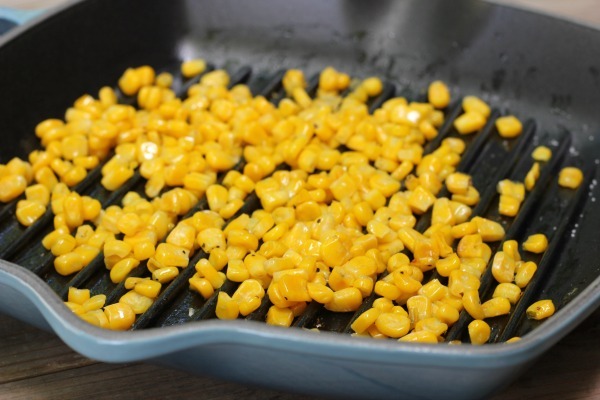 make some delicious black bean and corn salsa. 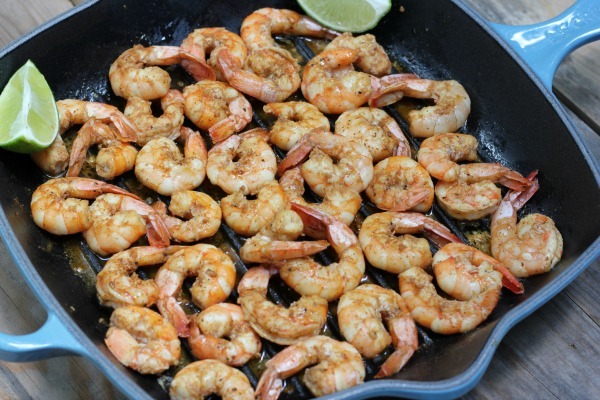 to use it to grill the shrimp! and the black bean and corn salsa. It's also great served over rice! becoming one of my favorite skillets! salt, pepper and red pepper flakes. 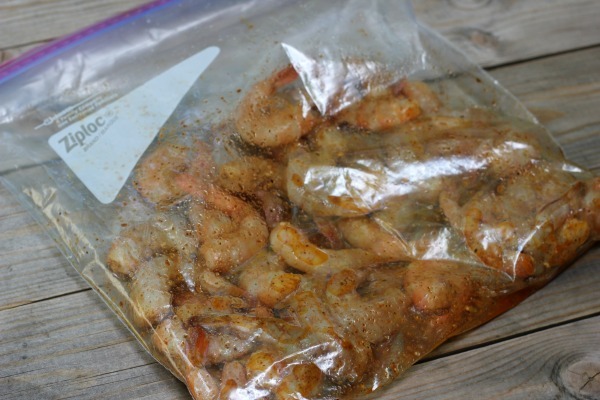 Pour into a resealable bag and add shrimp. 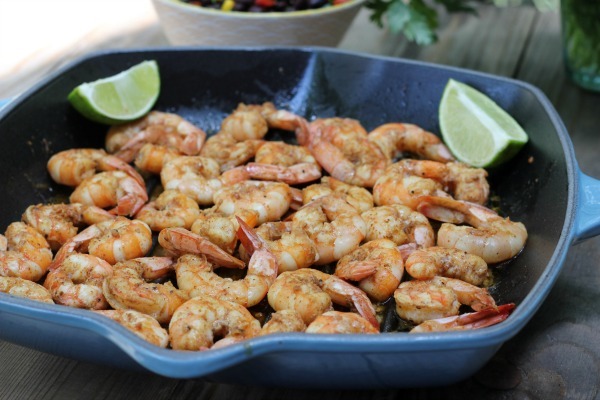 Toss to coat and marinate for at least 30 minutes. 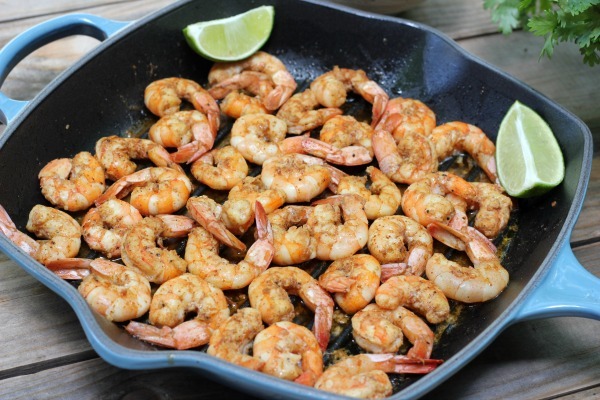 While shrimp is marinating, prepare the salsa. the pan, do not overlap. Grill on each side for 2-3 minutes or until no longer pink. Serve with warm tortillas, purple cabbage and black bean and corn salsa. Combine ingredients into a mixing bowl. 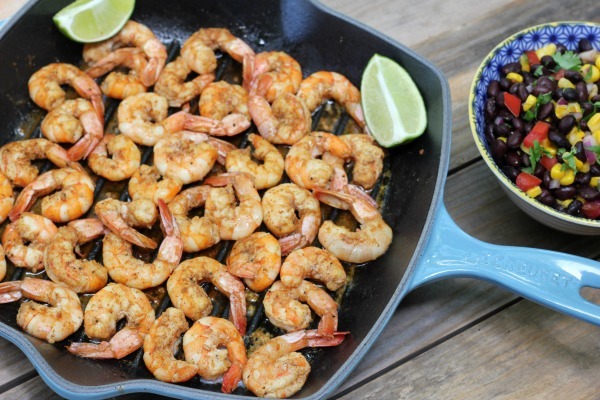 Serve over grilled shrimp tacos.